Can you guys believe that summer is just around the corner? I know the feeling that the year is slowly ticking by, and all of a sudden, it’s over! I’m sure you’ve been thinking about what you can do to help your little friends retain what they’ve learned this year. Without a structured time and schedule, kids can forget to read, write, and practice math over the summer. Parents often want to work with their children, but aren’t sure where to begin. Today I am sharing my 6 favorite ways we can lean into supporting students over summer break. Send home Summer Buckets. One year I really wanted to make my end-of-the-year gift for my students meaningful. My teammate and I brainstormed some activities and games that could be played with items from the dollar store and put them all in a bucket. In my post HERE, I explain in detail everything that went in the bucket, and I have a freebie for you! This summer bucket was jam-packed with games and activities students could play alone, with a friend, or with their family to practice math and literacy skills they had learned that year. Send read-at-home kits. These kits were pretty simple to make! 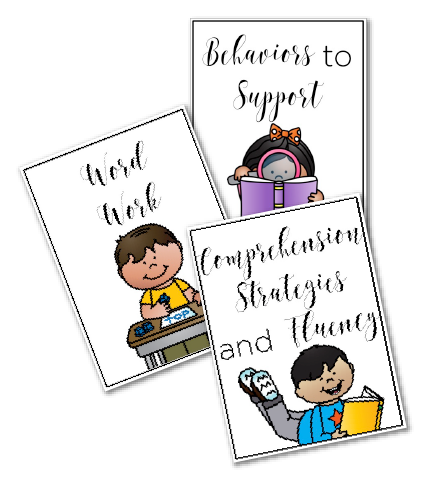 I took a gallon ziplock baggie and put in three on-level books, three books above their level, sight word flashcards, and a reading helper card you can find HERE for free (the last page of the file is what you are looking for). This gave my students six books to read over the summer! For the flashcards, you could send home your grade level words and the next grade’s words to help your students get a head start. You can find a fun list of sight word games you could include in the kit as well in this post HERE. Create reading response journals. You can make these in a snap! All you will need is a journal, a list of open-ended sentence stems or questions, and a suggested book list. I typed up a list of about 30 sentence stems and questions and glued it into the journal. Some examples are: I am like the main character because… One question I still have is… My favorite part of the book was… If the book could have a new ending, it would be… I would/would not recommend this book to others because… Describe how the main character changed from the beginning to the end. I also pasted in a recommended book list like the Texas 2×2 list just to give parents an idea of where to start, but you can skip this part if you’d like. Finally, I included some simple directions for students to read three books a week and complete a reading response for each. As a fun incentive, you could have them show you their journals at the beginning of the next year! My students loved coming by to show me all they had written! Recommend summer reading contests. Free summer reading programs with incentives and rewards? Yes yes yes! All you have to do is a little research in your area to see who’s hosting these and share them with your students’ parents. Usually, your local public library will do one, and sometimes local colleges and universities will, too. Barnes and Noble and Half Price Books both have a program where students can receive a free book for reading over the summer! I found that if I specifically listed out the programs for the parents of my classroom, they were more likely to do it. Recommend summer day camps. Many local places hold summer day camps for kindergarteners and up! Check out places like children’s museums, regular museums, junior colleges, universities, and larger tutoring centers. Many of these will offer reading/writing camps, math and science camps, and even technology based camps like robotics and coding. I like to compile a big list of anything that looks interesting for the students in my class and give it to the parents. These types of camps will generally cost money, so know your audience before suggesting them. Some organizations like the Boys and Girls Clubs will offer very inexpensive summer day camp options, too. Send home a Summer Reading Challenge. Parents and students love to keep reading over the summer, but doing the same ‘ole thing every day can get boring. Mix things up by doing a summer reading challenge! Just like with the reading response journals, you could have students return a completed Summer Reading Challenge for a trip to the treasure box or special lunch with their old teacher! Grab a Summer Reading Challenge HERE free! Supporting our students and their hard work over the summer is so important. Part of that, especially for younger students, is supporting the parents. Giving them specific suggestions or ideas to look into usually results in higher participation. Don’t assume they know about all of the choices that are out there. If you provide your students fun, engaging ways to practice reading, writing, and math over the summer, they might just do it! What are your favorite ways to aid parents in supporting students over summer break?